Shaker screens come in variety of sizes and shapes based upon shale shaker’s make and model. A Rectangular Heavy Duty Shaker Screen is mainly used for handling heavy solid drilling cuttings taken out during oil field drilling projects. Drilling as such is widely used not only in oil and gas industry but in mining and coal cleaning industries also. Wherever the project demands handling heavy duty drilling waste management system , rectangular heavy duty shaker screens are deployed for use. The main purpose of using shale shaker equipment is to separate out the drilling fluid from drilling solids i.e. drilling cuttings. A Rectangular Heavy Duty Shaker screen uses two layers of finely knitted mesh material and one layer of a coarse mesh to enable the handling of the heavy duty solid waste to provide it better durability and better conductance. There had been number of incidents where during the solid control system process, while shale shaker was deployed to separate drilling cuttings from drilling fluid, some thicker parts of solid would get stuck in the circulation and make their way through multiple layers of mesh of the shaker screen and over time burst the shaker screen’s mesh cloth. To prevent such incidents, rectangular heavy duty shaker screens came into existence. RHD shaker screens follow proprietary multi layered technology, that enhances the overall permissibility of drilling fluid through the screen with much less resistance, which naturally enhances the performance of shale shaker equipment. The shaker screens in RHD line are available in different variations, based on the particulate size they allow to permit through and these are standardized by the America Petroleum Institute through their labeling practice. API has labeled different shaker screens based on the holes size distribution measured with the help of light. As the technology advances, the drilling industry is all set to go through much more modernized with start to finish automation. 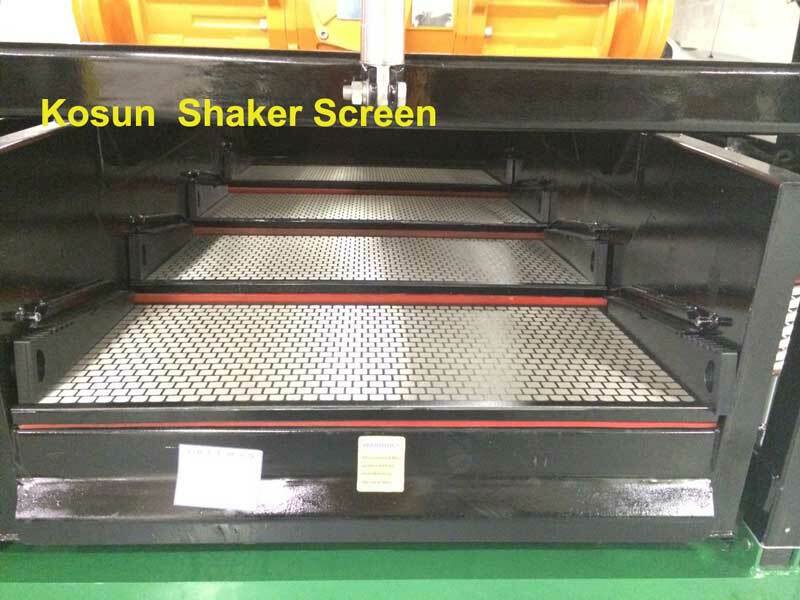 Next Next post: How to Install Shaker Screen for Shale Shaker?